in the Lancashire event. Although without a team, Faye Hannaway (15.27) & Freya Wissett (17.11) did well in the U13G race and Amelia Hitchmough(15.43)and Fran Price (16.450 did likewise in the U15G event. Brothers, Matthew (17.01)and Shaun French(18.39) were the only ‘B’ team runners. 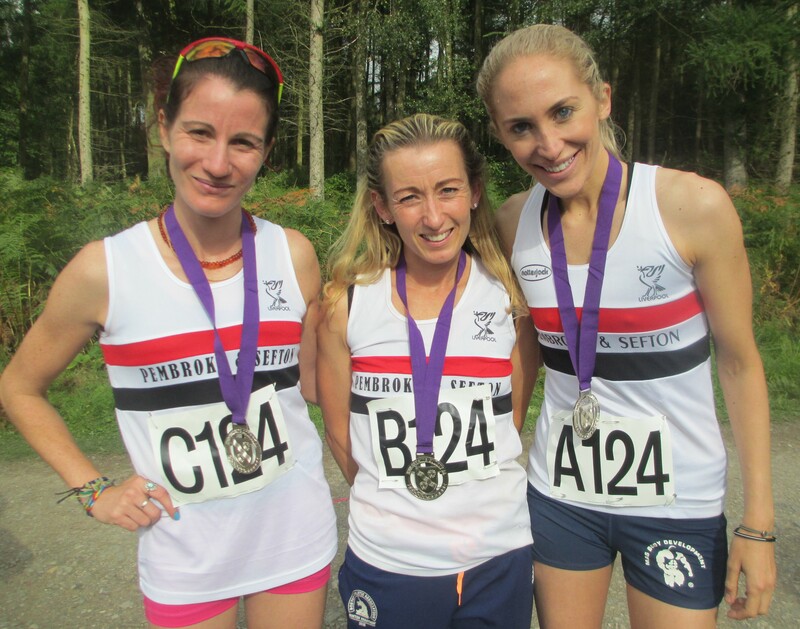 Kirsty Longley broke her own club record for 10k on the road and took over 30 seconds off it with a fantastic 35 minutes 32 seconds on the fast flat course to finish in 10th place overall . Liverpool Harrier Sophie Whiteside finished in 11th and ran under 36 minutes for the first time but couldn’t match the LPS star for pace and finished 12 seconds adrift of Kirsty who also ran the third fastest relay leg the day before the race at the North West Road Relays! In the Wirral Half Marathon on the same day Paul Milburn had a fine run and finished in 17th position with 1 hour 23 minutes and 54 seconds.